"I use these in Bloody Marys, instead of celery sticks, and they are always a hit!" These remind me of pickles/green beans. Not great but not bad either. Just different. 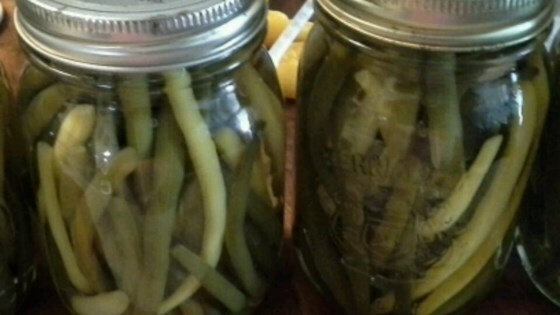 Used half wax beans and half green beans. Also, substituted dill weed for fresh dill. Great recipe! I've been making these for years and the kids love them. include 1/8 - 1/4 tsp cayenne pepper in each jar for a little zip.